British Metal Revival band Kaine have unveiled their new line-up. Stephen Ellis (Drop Dead Fred/Failing to Fly) has joined Kaine on bass ahead of the preparation for the recording of the band’s upcoming third album to be released on Revival Metal Records. Stephen Ellis will play his first official show on August 28th at the Firehouse in Southampton, followed by the Rock Den in Hatfield on the 29th and the Asylum in Chelmsford on the 30th. 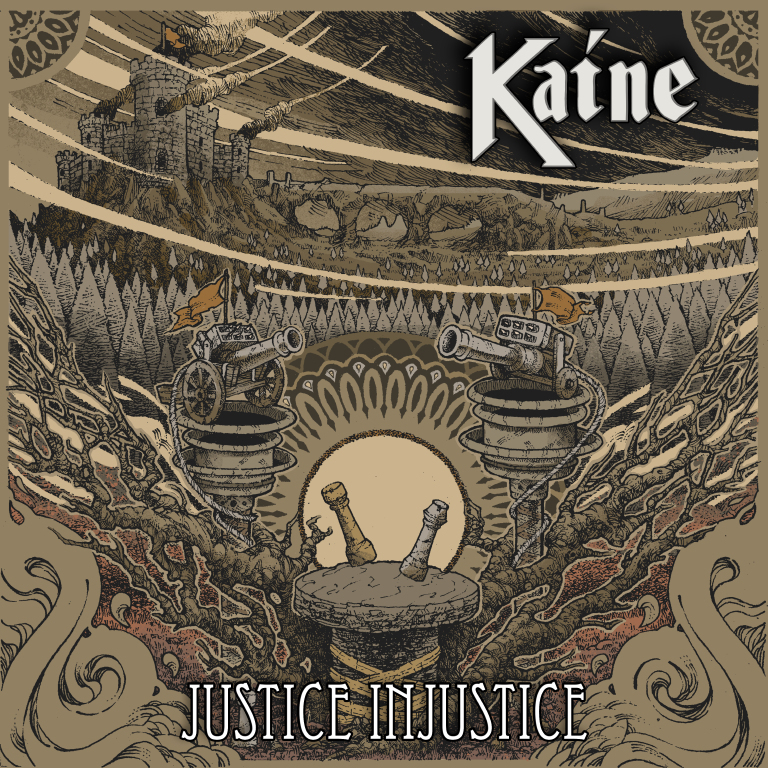 Kaine have also issued a new track “Justice Injustice” from their upcoming album released as a digital single on Spotify, iTunes, Amazon etc. on August 8th. The track was recorded and produced by Ade Hare at Threecircles Studio in Essex, England where the band recorded their debut album “Falling Through Freedom” in 2012 and mastered by Z-Plane who also mastered the bands previous album The Waystone.